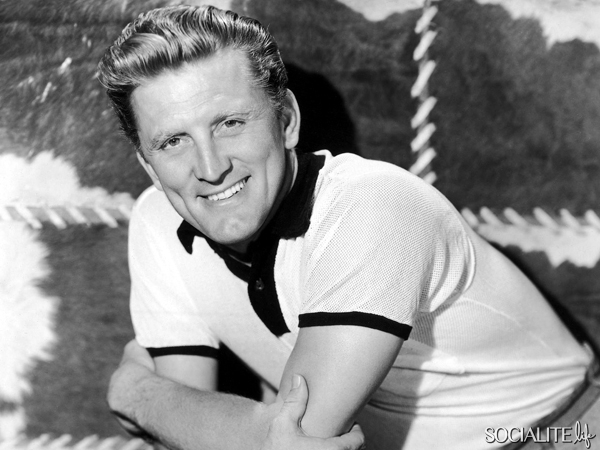 Earlier this month you may have read about celebrations of Kirk Douglas’ 100th birthday. Issur Danielovitch (the future Kirk Douglas) was born December 9, 1916 – though it appears that due to his mother’s misunderstanding of American custom, his birthday was always celebrated on Dec. 14th in his childhood. When most people think of Kirk Douglas, they think of Spartacus or maybe Vincent Van Gogh… I think of scrap. 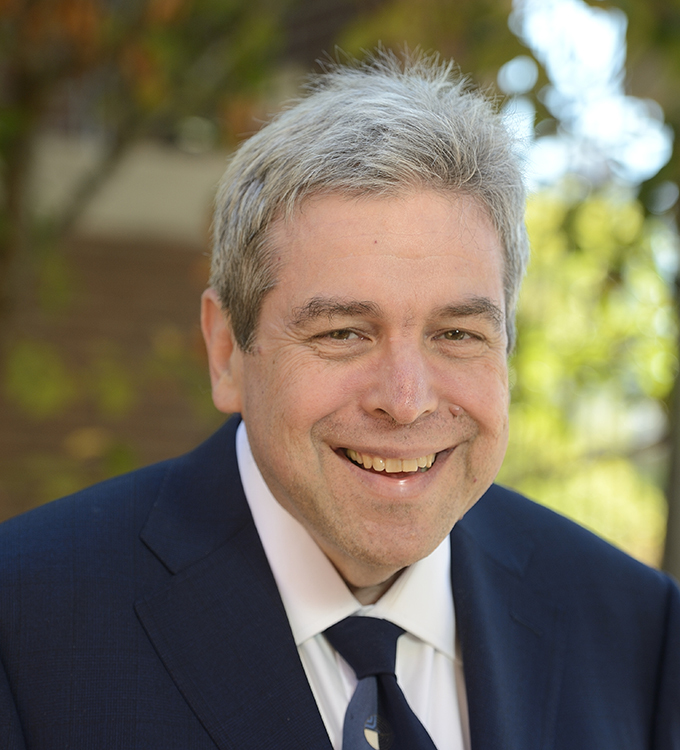 As I explained in last month’s JMM Insights we are currently in the process of creating a national exhibit on the transforming business of scrap (update: one of our first transformations was the exhibit title – many people were confused by American Alchemy – so our new, and hopefully final, title is Scrap Yard: Innovators of Recycling). Now scrap yards have a significant place in popular cinema – playing “starring roles” in films as diverse as Goldfinger (the car crusher), Star Wars – The Phantom Menace (Anakin Skywalker’s first job), and Stand By Me (with “legendary” junk yard dog, Chopper). Even animated films like Iron Giant and Wall-E feature aspects of the scrap business. However, the scrap business also has played a role in “inspiring” people to enter the world of film and television. 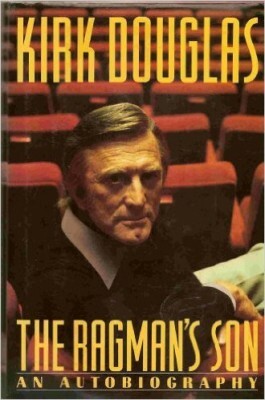 Kirk Douglas’ first autobiography, The Ragman’s Son (1988) describes his life growing up in Amsterdam, NY as the child of an immigrant junk peddler – his father apparently attempted to make a living with both scrap rag and scrap metal. In Douglas’ case his dad, who he describes as more fond of booze than work, is an unsuccessful peddler. He manages to take all the money Douglas saved from his childhood jobs and all of his bar mitzvah money and invest it in purchasing a load of scrap. Unfortunately, the purchase is made in 1929 and the metal loses all its value in the commodities crash that follows the stock market crash. Kirk Douglas still manages to make his way to college, winning a scholarship to St. Lawrence University. Reading his book, I sensed little nostalgia for his father or the scrap business, except as obstacles he escaped. Douglas was by no means the first to make it from scrap to screen – that distinction may belong to Louis B. Mayer, the guiding force behind Metro-Goldwyn Mayer studio. 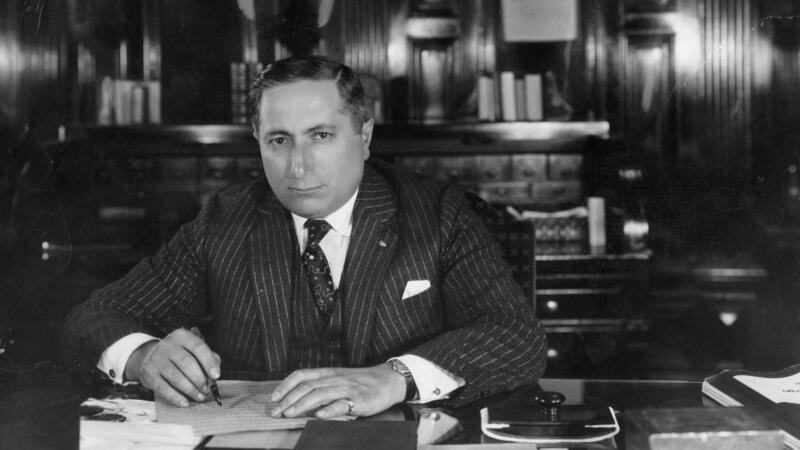 According to Scott Eyman’s biography, Lion of Hollywood: The Life and Legend of Louis B. Mayer, Mayer was born near the current Ukranian/Belarus border in July of 1884. Shortly thereafter his parents moved to New York, where his father Jacob was a scrap peddler on Long Island. By 1892 his family had moved on to Saint John, New Brunswick where Jacob and his son Louis would spend nearly a dozen years collecting and selling scrap. Aware of the difference in social status, Louis B. Mayer made the claim that the business was always metal, never rag. Sometimes this meant salvaging shipwrecks that were not uncommon off the coast of New Brunswick – Louis and his brothers learned to dive to scavenge for metal. Like Douglas, Mayer had an overbearing father and a childhood filled with hunger and hardship plus more than a little anti-Semitic harrasment. But unlike Douglas, Mayer was unable to continue his formal education past age 12. He did manage to get out of Saint John, taking a job with a scrap dealer in Chelsea, MA in 1904. His scrap ventures failed but he did manage to land a job as manager at a small burlesque theater in 1907. He had the idea of turning the theater into a movie house – “the home of refined amusement devoted to…moving pictures and illustrated songs”. From then on, his only scrap would be celluloid. For my third scrap to screen story I didn’t have to read a biography. I actually witnessed my cousin Mandy Patinkin working in our family’s scrap yard. Our grandparents, Max Patinkin and Simon Pinckovitch (a pair of brothers-in-law) had founded People’s Iron and Metal in Chicago in the early 1900s. Mandy and I – we’re the same age and in the same class at Hebrew School – both worked at the yard in the summers of our teen years. My recollection is that Mandy as the “extrovert” got the job in the air-conditioned office, kibitzing with the truck drivers when they weighed in and out. As the “introvert”, I had the job operating the hydraulic press bailing metal in the oppressive heat. Mandy and I have lost contact over the years so perhaps he remembers it differently – but my lesson from the scrap business was it’s better to be an “extrovert.” Of course, both of us left the business behind but not without a fair amount of nostalgia. 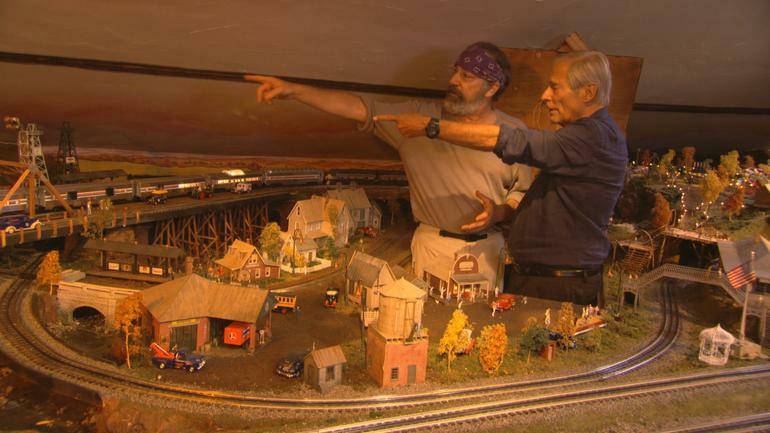 Follow this link to the 60 Minutes piece where Mandy shows off his model train complete with a miniature of People’s Iron. Now you might think that our generation would be the last to make the leap from scrap to screen but the story doesn’t end with Princess Bride. 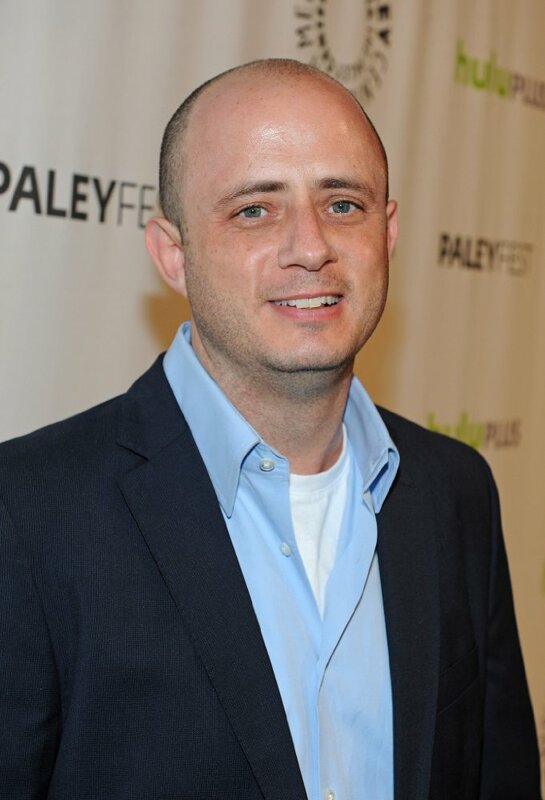 Those of you following this fall’s history-bending series Timeless may be forgiven for not noticing the name of co-writer and co-producer Eric Kripke. It’s one of several sci-fi series Kripke has helped create. It turns out that when you look up Kripke Enterprises, what you’ll find is Kripke’s father’s scrap aluminum business in Toledo. A long tradition continues. ← Hanukkah Cuteness Throughout Our Partnership Schools!